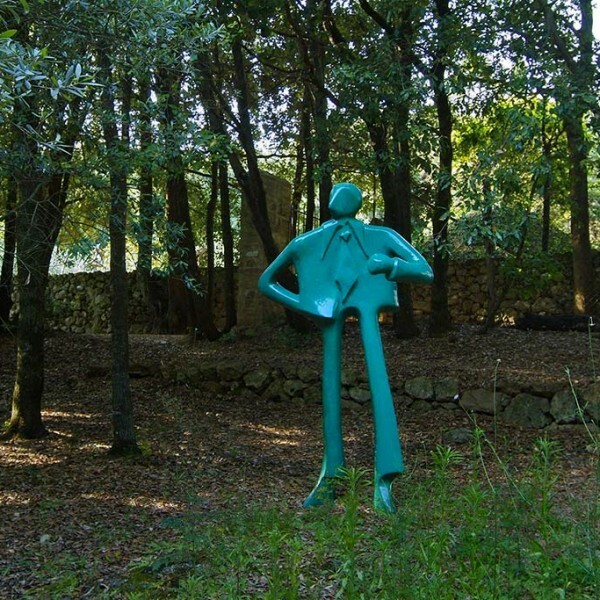 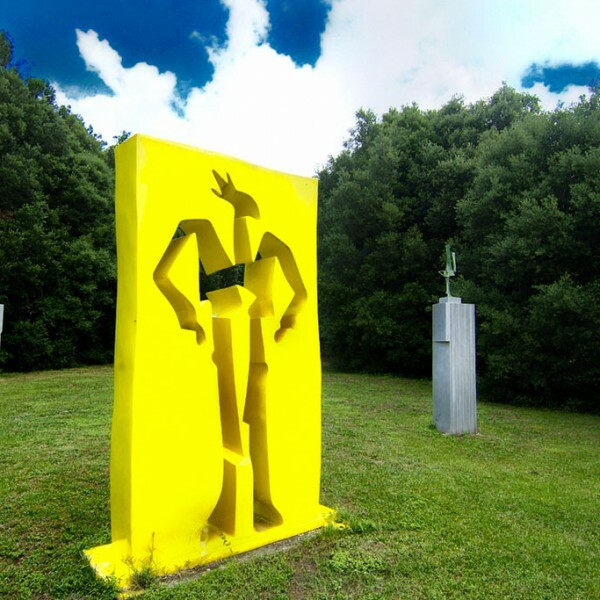 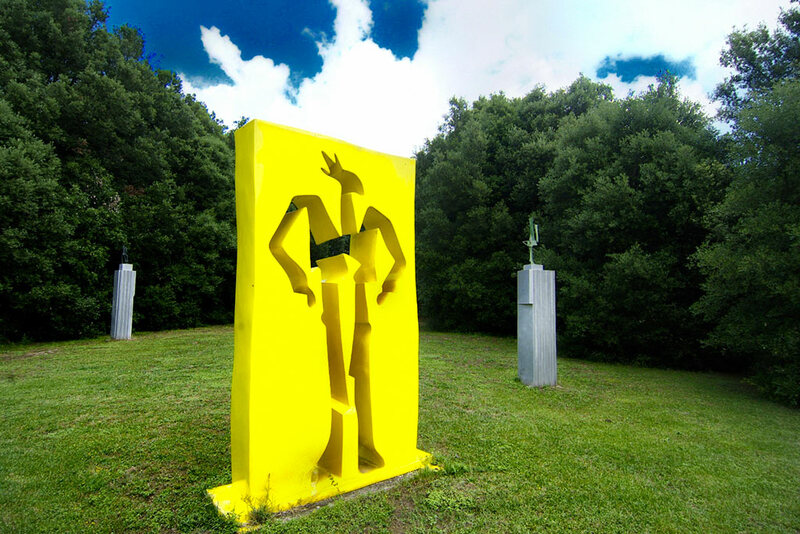 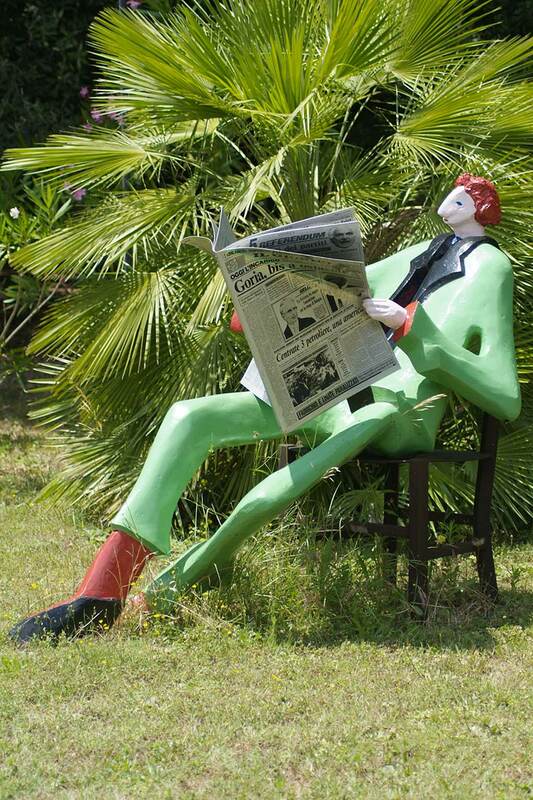 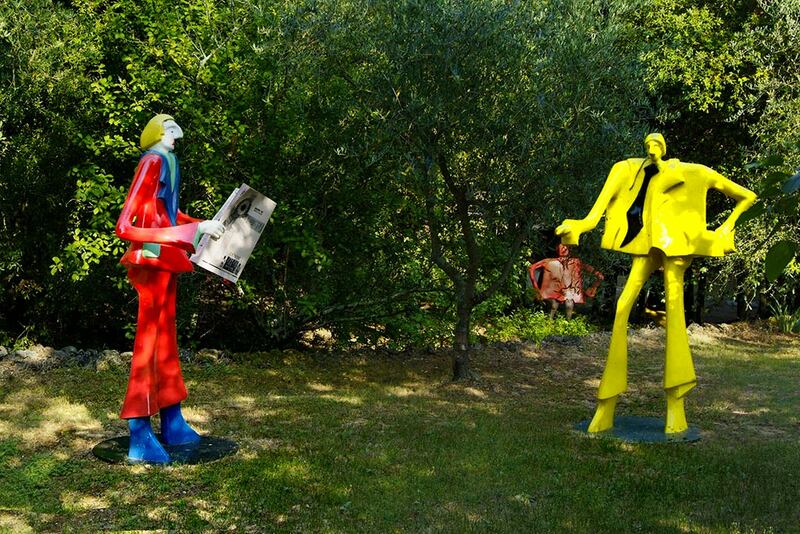 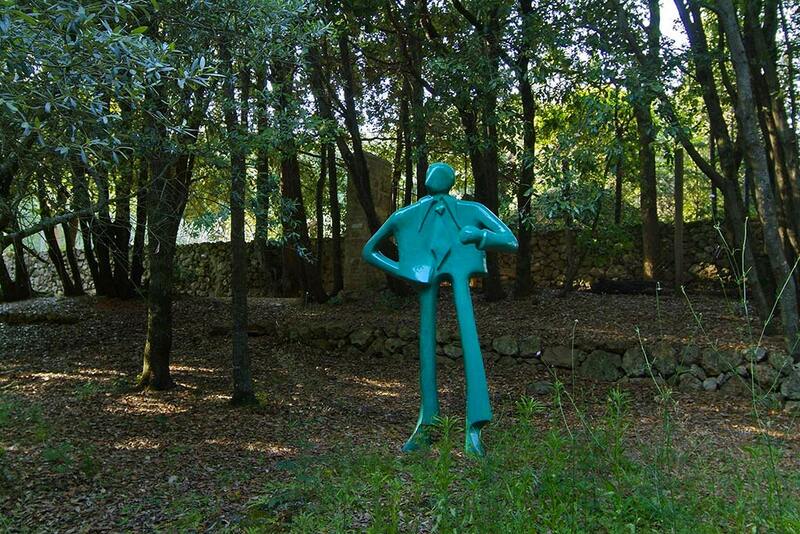 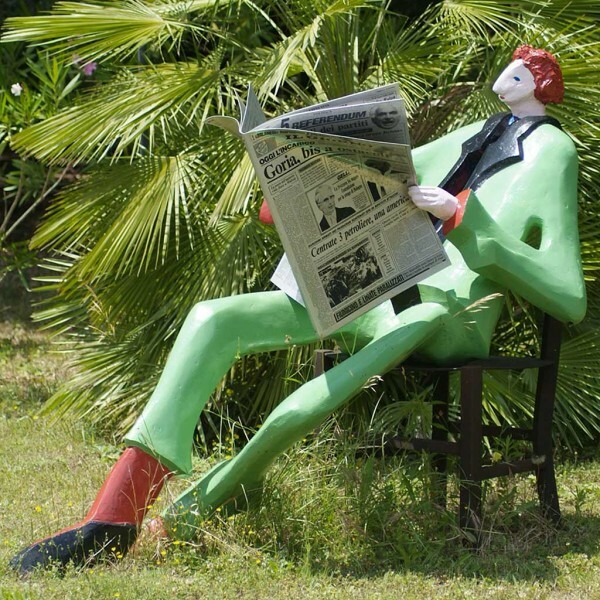 The sculpture park was inaugurated in 1995 in the natural habitat surrounding the village of Iesa, near Terme del Petriolo. 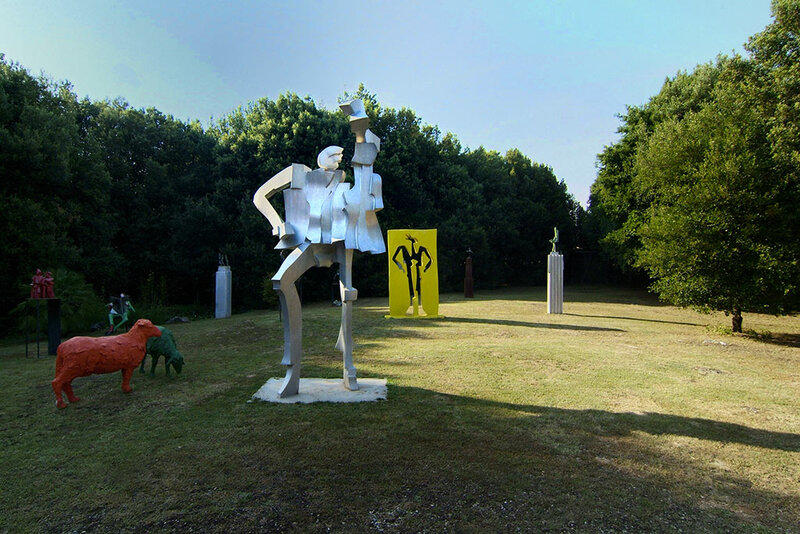 Most of the fifty works by Swiss artist Kurt Laurenz Metzler (1941) represent “hominids”, in this case urban-seeming pedestrians in ordinary poses, made in a wide variety of materials, including iron, marble, aluminum, bronze and painted resin. 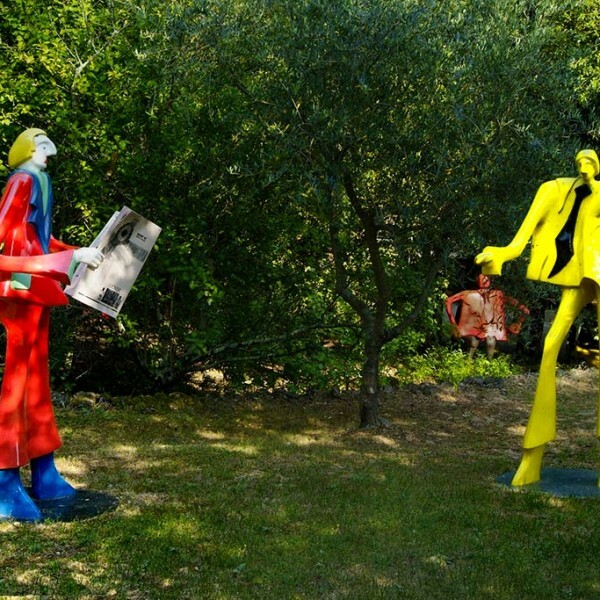 Metzler’s work seems like a kind of “street theatre”, observed Enrico Crispolti, “to give an emblematically ‘disalienating’ image of the man of our times”. 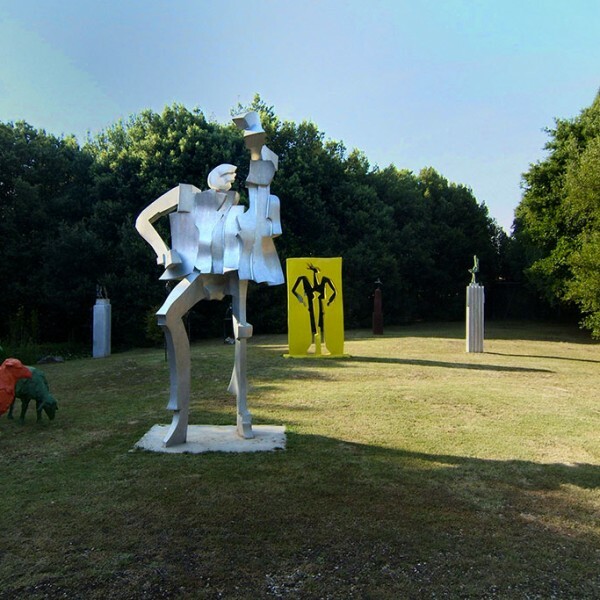 The artist suggests a clear disconnect between his city characters and the surrounding countryside, and yet, standing there in the shade of the trees, they seem to reveal an “innate adaptability”.